Ferrero, G. O., Almeida, M. F., Alvim-Ferraz, M. C. M. and Dias, J. M. (2015). Glycerol-enriched heterogeneous catalyst for biodiesel production from soybean oil and waste frying oil. Energy Conversion & Management 89(89): 665-671. Ferrero, G. O., Almeida, M. F., Alvim-Ferraz, M. C. M. and Dias, J. M. (2014). Water-free process for eco-friendly purification of biodiesel obtained using a heterogeneous ca-based catalyst. Fuel Processing Technology 121(1): 114-118. Ferrero, G. O., Renner, M. L., Gil, G. A., Rodríguez-Berdini, L. and Caputto, B. L. (2014). c-Fos-activated synthesis of nuclear Phosphatidyl Inositol-4,5-bisphosphate (PtdIns(4,5)P2) promotes global transcriptional changes. Biochem J 13 (461): 521-530. Ferrero, G. O., Velazquez, F. N. and Caputto, B. L. (2012). 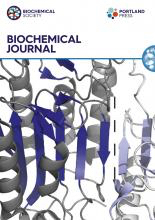 The kinase c-Src and the phosphatase TC45 coordinately regulate c-Fos tyrosine phosphorylation and c-Fos phospholipid synthesis activation capacity. Oncogene 31(28): 3381-3391. Portal, M. M., Ferrero, G. O. and Caputto, B. L. (2007). N-Terminal c-Fos tyrosine phosphorylation regulates c-Fos/ER association and c-Fos-dependent phospholipid synthesis activation. Oncogene 26(24): 3551-3558. This protocol describes experimental procedures for in vitro dephosphorylation assay of human protein c-Myc. This protocol can be adapted to detect phosphatase activity of other Ser/Thr phosphatases.